Andreas Bulling is a Research Group Leader at the Max Planck Institute for Informatics, Germany. He was previously a Marie Curie Research Fellow in the Computer Laboratory at the University of Cambridge, United Kingdom, and a postdoctoral research associate at the School of Computing and Communications at Lancaster University, United Kingdom. Andreas coined the term “pervasive eye tracking” and pioneered the use of eye movement analysis for context-aware computing. His further research interests include activity and context recognition, multimodal sensing and inference, and cognition-aware systems with applications in ubiquitous computing, human-computer interaction, and personal health monitoring. He received his PhD in information technology and electrical engineering from the Swiss Federal Institute of Technology (ETH) Zurich, Switzerland, in 2010. 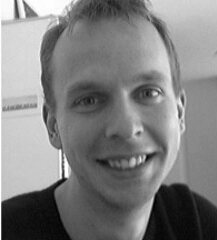 Roman Bednarik is a researcher at the School of Computing, University of Eastern Finland (UEF), and a principal investigator in an Academy of Finland funded project related to gaze in multiparty distant interaction. Since 2012 he is an adjunct professor (docent) of interactive technologies at UEF. In 2011 he was a visiting scholar at the School of Information Sciences, University of Pittsburgh. In 2007-2010 he was an assistant professor at the University of Joensuu. Roman is interested in human behavior, cognition, learning, and interaction with computers in general. His particular interests lie in applying eye tracking to study and support usability, thinking and interaction. In his PhD. work Roman investigated and used eye movement recording as a measure of visual attention of computer programmers during program comprehension and debugging.